Gifts for athletes can be tricky, particularly for runners. Who would have thought that a sport that basically only requires sneakers could have so many different accessories and products to go with it? 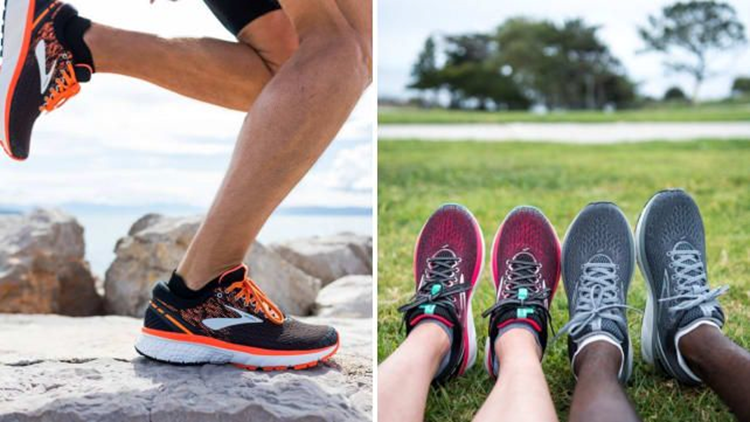 But fear not—you don’t need to have your favorite runner’s shoe size memorized to buy them the perfect gift. For those with limited space, grab them the Elite muscle roller stick. Same outcome for their muscles, but easier for them to store. If your favorite runner doesn’t have a running buddy in their neighborhood, the least you could do is offer them a way to take Beyonce or Drake out on the roads with them (or Barbara Streisand, who am I to judge?). 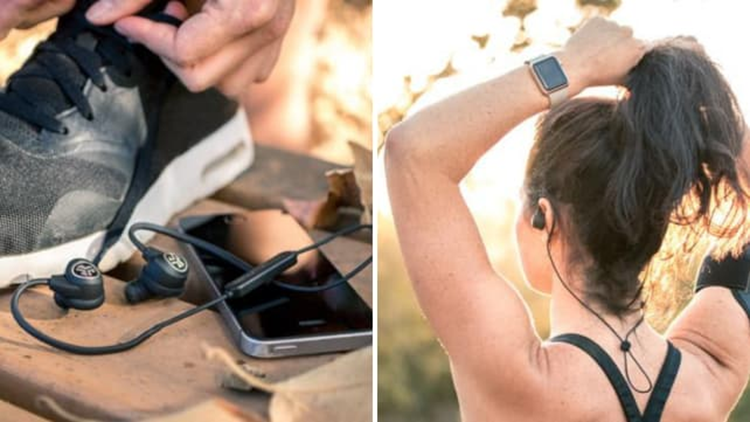 Our favorite workout headphones have a 12-hour playtime, so your giftee will never have to worry about their headphones dying in the middle of a run and leaving them to listen to the most dreaded playlist of all—their inner monologue. I will be the first to admit this, but I am a full blown slave to my Garmin watch. 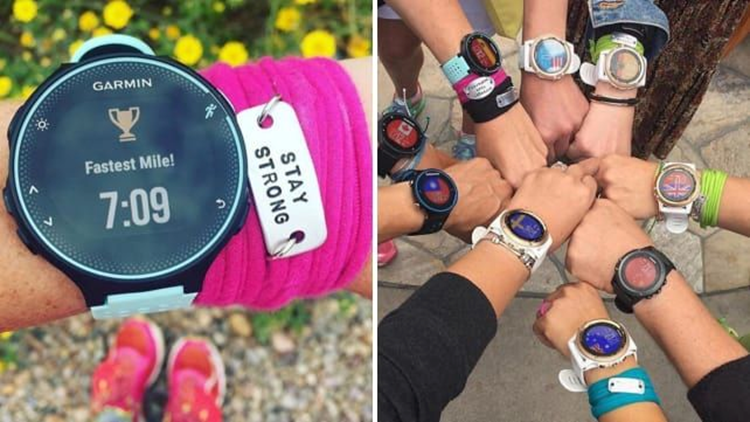 This watch was my little buddy on all of my marathon training runs, beeping every mile to tell me my pace and using GPS trackers to let me know how many miles I’d gone. These watches are a great investment if you are running long distances and want to keep to a steady pace. They’re also great if you like knowing exactly how far you ran, but don’t want to measure out the distance beforehand. 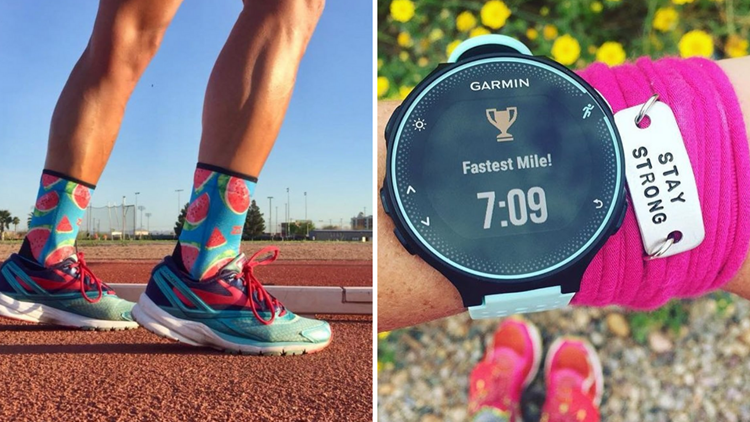 Buyer beware though, I literally become a different person when I strap mine on my wrist, absolutely obsessed with my pace and if I can set a personal best (yup, the watch keeps track of your fastest times). Man or woman, old or young, everyone likes a pair of fun and comfy socks. This pair is made with fabrics that have anti-odor properties and designed specifically to be blister proof, which is sweet, sweet music to a runner’s ears. 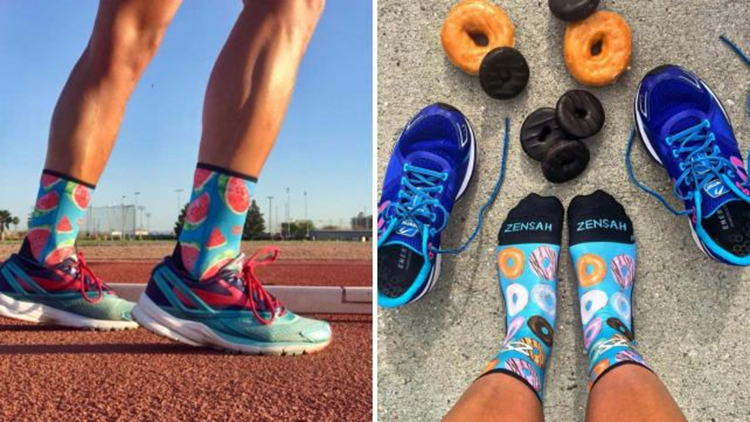 For the more serious type, there are some muted patterns, but honestly, who wouldn’t want a pair of socks covered in donuts? If you can’t run like an Olympian, you might as well eat like one. 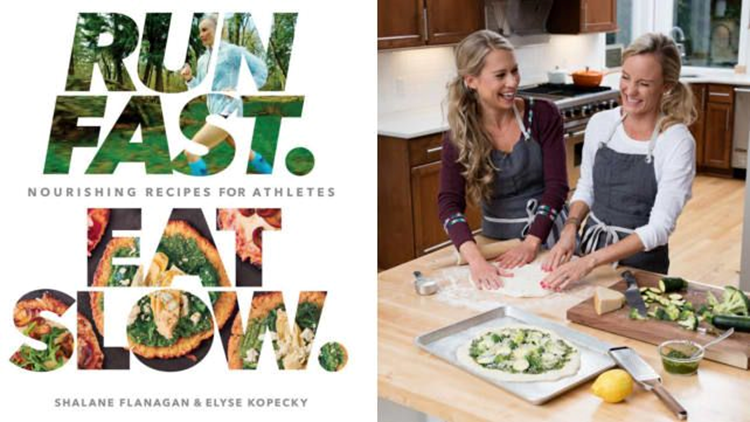 This cookbook by Olympic runner Shalane Flanagan and professional chef Elyse Kopecky is filled with nourishing recipes that are easy to make. This is actually what Flanagan eats while she is training. With a book like this on their shelves, runners will be able to put their post-run hanger behind them as they whip up all sorts of quick, easy and healthy meals. Some runners enjoy going out for a nice easy jog and seeing where the road takes them. Others like to know exactly how far and how fast they went. For the runner who is all about tracking data and knowing precisely how far their feet take them, the Believe training journal is the perfect fit. 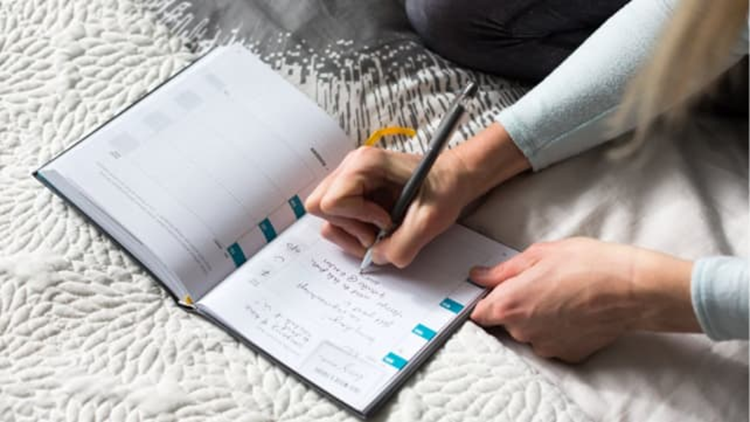 This gives them a place to log runs and jot down long-term goals in the annual and weekly calendars. Best of all, there are plenty of tips on nutrition, mental habits, and recovery sprinkled throughout the book. It’s basically like having a personal coach right in your hands. Our top tested slow cooker is perfect for the runner who wants to prep dinner, throw it in a pot, and not think about it until they arrive home. Whether you just went for a long, 10-mile run or a few laps around the local track, nothing beats coming home to the smell of dinner all ready and waiting for you. 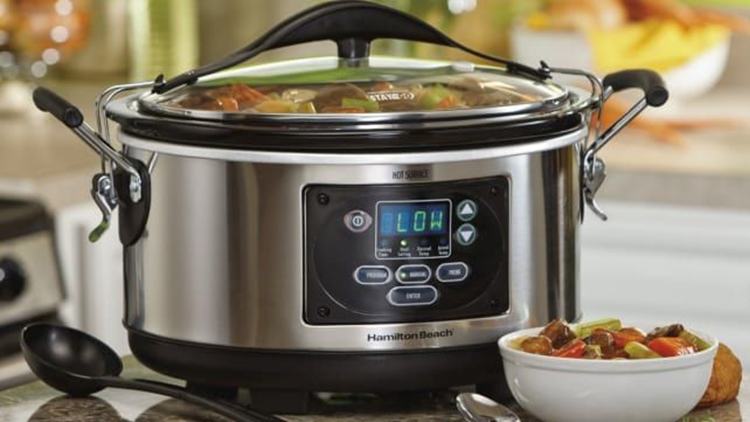 Regardless of their culinary skills, this slow cooker will become a meal time staple in any busy runner’s home. There is truly nothing more potent than the stench of sneakers that desperately need to be replaced. If you know of a pair that is getting a bit ripe sitting in your hallway, look no further than the Brooks Ghost 11 kicks. Not only have these shoes gotten me through two marathonshassle-free, they’ve won the Editor’s Choice award at Runner’s World magazine 7 times. I can’t promise they’ll make your loved one run a 5-minute mile, but I can promise that whoever wears them will be comfy and blister free every single mile. Gym bags straddle a dangerous line between "a great way to carry your workout clothes" and "glorified laundry bag". Am I in the laundry bag side of this line? Possibly. 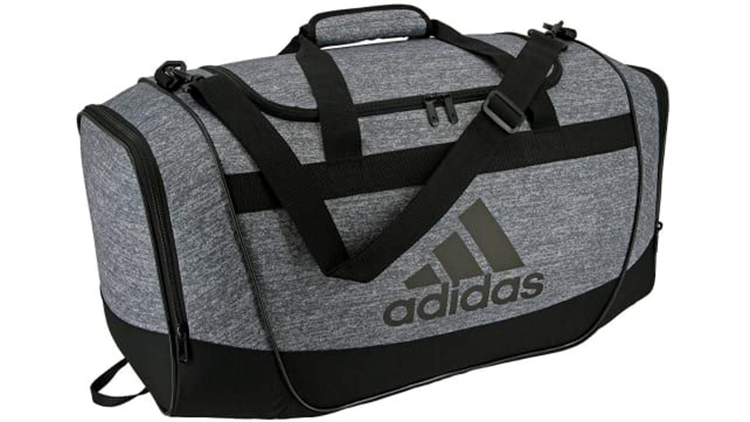 That's why this adidas duffel is perfect for people like me who carry around way too much smelly, gross stuff. The large main compartment allows for people to be able to store their clean clothes, while the two end pockets act as compartments to store their sweat soaked duds, ensuring clean and dirty clothes never have to mix. Do the gym goer in your life a favor and just treat them to a new bag, because we all know they're way too oblivious to see how gross theirs has become. Runners usually like one thing and one thing only...running. But to improve their game, they need to give their legs a break and focus on other parts of their body; enter cross training. Runners can stretch out their tight quads and cramped calves on our favorite yoga mat. 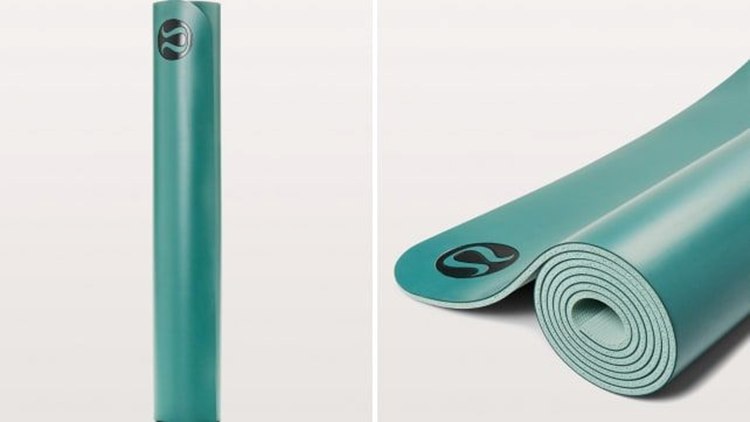 Whether they are toting it to their favorite hot yoga class or simply turning on some YouTube yoga in the living room, this mat will ensure a firm grip and zero slippage. Perfect for muscles that need a little extra TLC. If someone you love could use a book that will get them off the couch and outside crushing miles, look no further. Never before has a book actually made me want to get outside and run for hours (and I do mean hours). 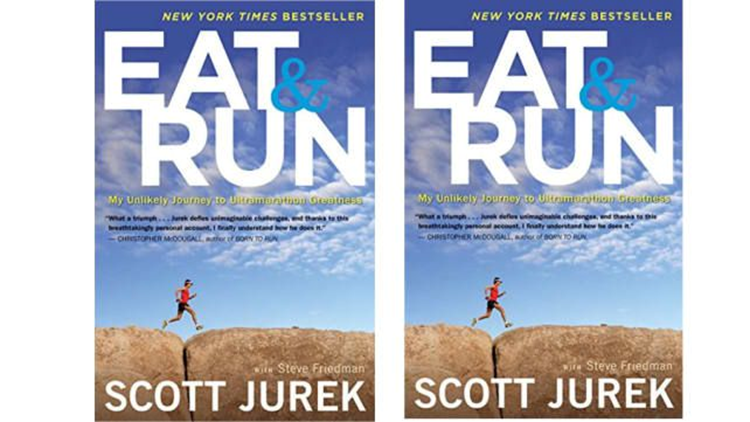 Ultramarathon champion Scott Jurek takes the reader through his most treacherous and exciting races and makes a simple marathon look like child's play. He recounts winning 100-mile races and the food that helped fuel him to the finish. If this doesn’t inspire you to get out and start moving, then you’re basically doomed to a life of sedentary complacence. If your giftee would prefer constant running news at their doorstep, opt for a magazine subscription to Runner’s World. For monthly motivation, stories of both elites and regular folks is the perfect way to keep lacing up the sneakers. 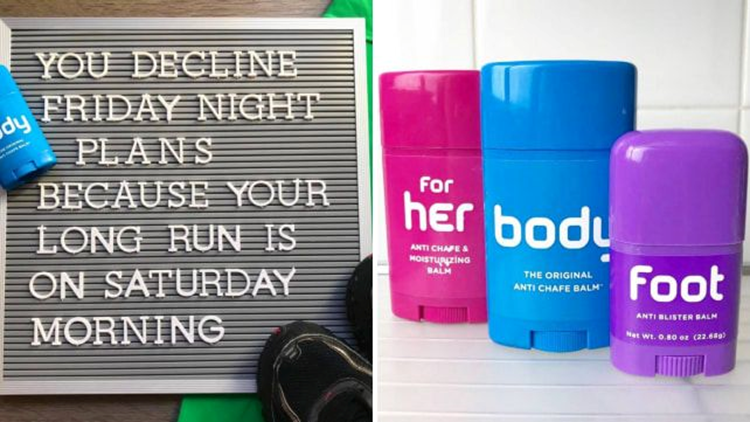 If there is one common takeaway from all of these gifts for runners, let it be this: Runners are smelly. Don’t let your loved one’s passion for a sport make you shy away from them. Instead, make sure they are armed with the proper de-stinking supplies. These shoe deodorizers have over 1,200 positive reviews on Amazon, which basically means that peace was restored in over 1,000 homes due to no more smelly sneakers lingering in every corner. 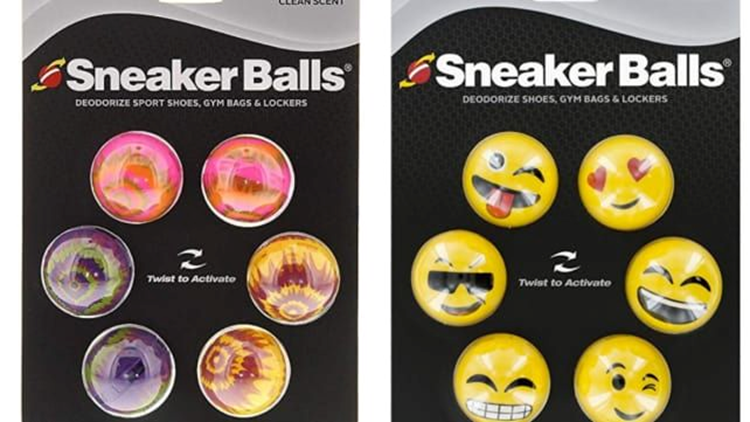 All you need to be able to do is simply twist one of these sneaker balls and toss it in the offending shoe, and you can wave goodbye to the sweaty feet smell that your nose has grown accustomed to. There are some people who can wake up and sprint out the door, eager for their morning run. Then, there are normal people, who need a little extra pick-me-up for conquering early morning miles. 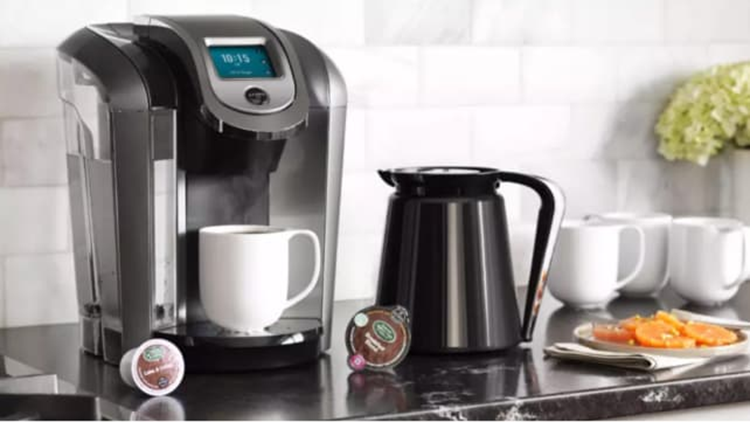 The Keurig is our favorite pod coffee maker and perfect for brewing a quick cup in the early hours. Simple, easy, and efficient, it is what both your coffee brewing process and morning run should both strive to be. 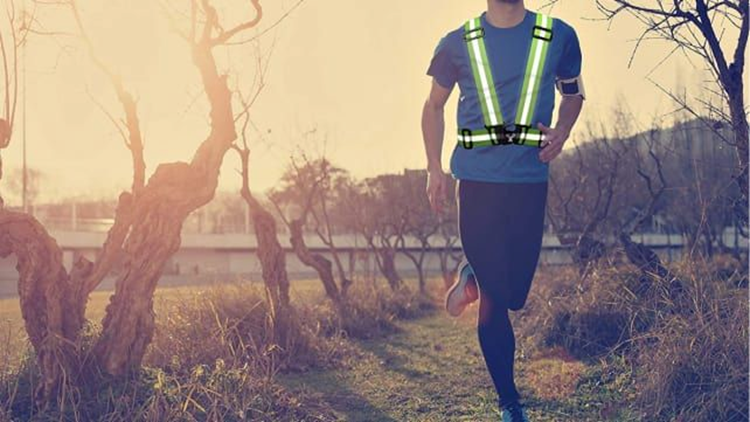 Night owls can safely rejoice with this reflective vest that makes runners highly visible to traffic. With winter looming, the sun is setting earlier and earlier, making a 6 p.m. run feel equivalent to a midnight workout. Adjustable straps and reflectors on both the front and back ensure that runners will be vibrant and noticeable, even on the dimmest of paths. If you’ve ever been unfortunate enough to feel the underside of a runner’s foot, you know first hand that things can get pretty rough. Let’s not even begin to address how their toenails typically look. 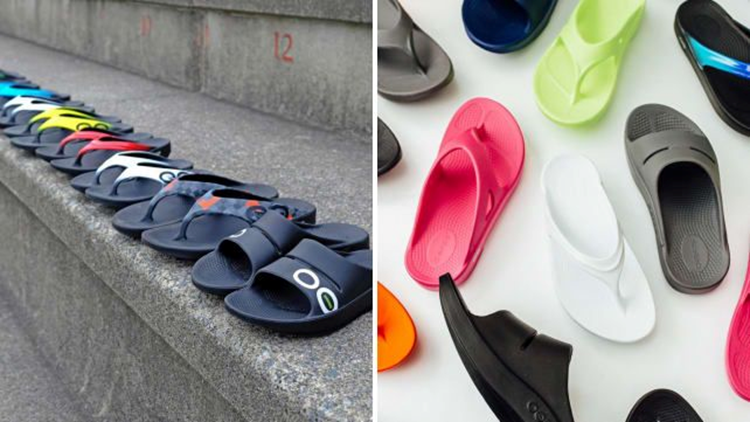 With that being said, runners' feet need some serious love and care, which is where the Oofo’s flip flop comes in to play. The footbed on these bad boys is designed to cradle the arches and reduce stress on ankles, knees, and the lower back. Cranky runners will jump for joy (or just slightly hop...they’re probably a bit tired) over these comfy recovery shoes. I’m a runner, so I can openly say this—runners are a special kind of crazy and some are true nutbags that will literally run outside no matter what. I repeat, no matter what. 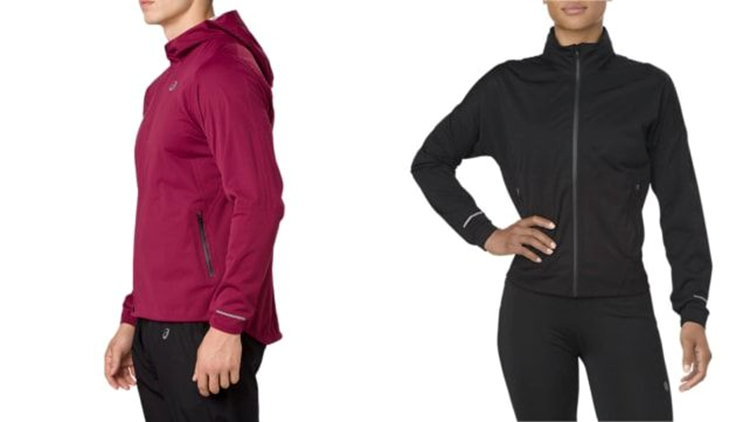 To ensure that your favorite crazy person is well equipped for the elements, get them a jacket that will protect them against wind, rain, snow, and the judgmental looks of people who drive by them when it’s 10 degrees out. Some runners can just open up the front door, sprint down the steps, and start their run with just the shoes on their feet. Others like to carry a few extra items with them. When a runner needs extra storage space, they don’t want things bulging in their pockets, so get them a FlipBelt this year. This belt is reminiscent of a fanny pack, but far sleeker, ensuring your giftee has a discrete, non-bulky way to carry their phone or keys. If your runner needs some help staying hydrated too, opt for a fuel belt that comes with water bottles attached as well, like this highly rated option on Amazon. This will ensure that they’ll never have to stop and awkwardly drink from a stranger’s garden hose in the middle of a long run. I’m going to be honest here, I put this on the list because I am that runner who starts out too fast in races. However, I finally wore a pace band for a race and seriously won’t shut up about how much of a game changer it was. This is perfect for folks who need a little reminder to stay on track or for those who struggle to do mental math once they get further and further into the race. 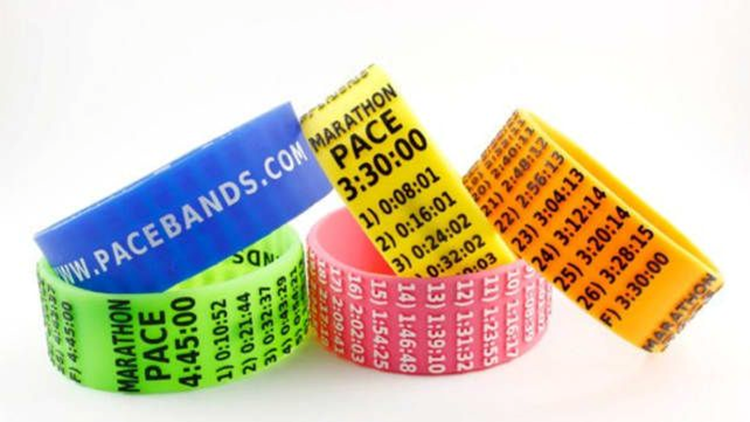 Each band is customizable for distance and time, so it can be properly tailored to every runner’s goal. 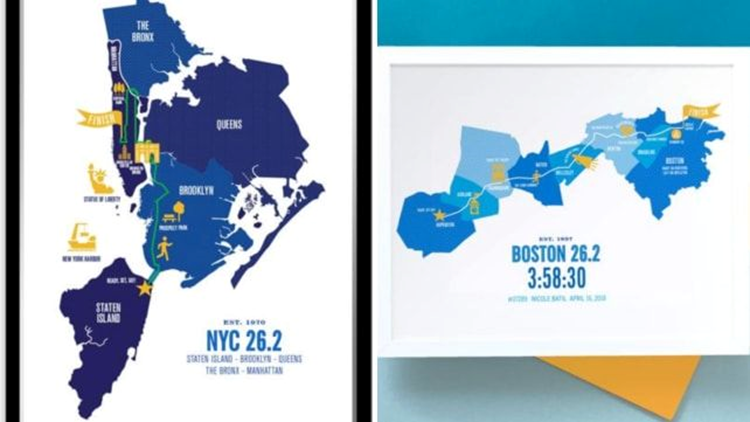 Yes, running can be an art form in itself, especially if you take course maps and frame them on the wall. Run Ink takes popular courses in the U.S. and around the world and turns them into works of art. So the next time you are bragging to friends about the race you just ran, you don’t have to tell them about how far it was. You can just gesture to the print hanging on your wall. There is something to be said about your relationship to a runner if you know that they would heavily benefit from Body Glide. While running isn’t a contact sport with other people, it certainly can be one with your own two legs. To help ease chafing worries (and for a laugh when they pull this out of their stocking) invest in this deodorant-shaped stick of Body Glide. Your favorite runner can say farewell to chafing, and you can say goodbye to listening to them complain about it.